Gartner has estimated that 50% of enterprises will deploy hybrid clouds by 2017. Gartner has a quadrant for selecting the cloud management platforms. We want that most serious users have some own hardware. This want is for practical reasons including current increasing security threats. Orchestration means automation process for organization, coordination, and management of complex computer systems, middleware and services. Orchestration is largely the result of the automation systems that deploy elements of regulation. 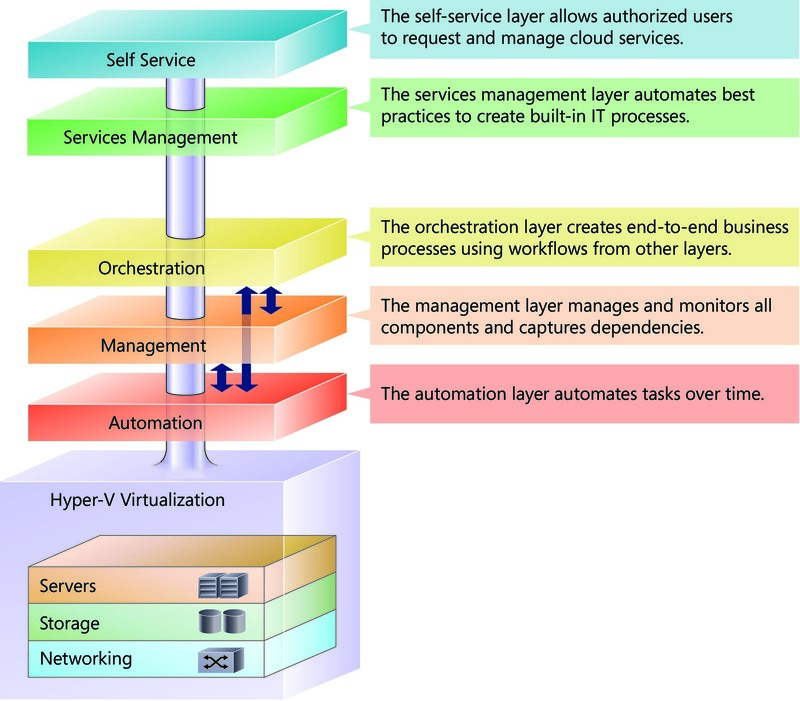 We often talk of orchestration in the context of virtualization (and obviously cloud computing), provision of dynamic data services, service-oriented architecture etc. Here is a hand picked list of cloud orchestration tools for the on-premise business owners, developers and CIOs based on our practical experience. 2010’s cloud computing and 2016’s have difference. 3 years back we said that Hybrid Cloud is the Future Not Public Cloud. We indicated the word “On-Premise” to target the hardware resource owners of any size – from RapsBerry Pi cluster owner, dedicated server user, colocation server user/owner to one who is thinking with own datacenter. In other words, we expect that you have the raw hardware to install some software to manage and divide in to virtual servers/cloud servers and use some configuration management tools on them. Gartner listed Avni, BMC, CloudBolt, DivvyCloud, Embotics, GigaSpaces, Hewlett-Packard, IBM, Morpheus, Red Hat, RightScale, Scalr and of VMware. Peoples on GitHub listed BOSH, Ansible, Cloudify, consul, doozerd, etcd, Juju, MCollective, Overcast, Rundeck , Salt, serf, StackStorm, zookeeper as useful tools related to Cloud Orchestration. We will suggest to think about VMWare as paid solution from vSphere to Hyper-V. VMWare can be costly to many companies. Red Hat has all possible solutions and Red Hat is dependable company – from OpenShift Origin to Ansible all has production ready Free Software part. Needless to say – Red Hat knows about GNU/Linux with own enterprise grade distro and practically CentOS as F/OSS version of it. OpenStack is Free Software but the company adapting needs knowledgeable manpower to develop own stuffs. For OpenStack, think about Hewlett-Packard. Last entry is which none practically gave importance – it is Parallel’s product range. Virtuozzo is of Parallel but Virtuozzo is separate company now. Virtuozzo’s F/OSS part is OpenVZ. Parallel has Plesk. No way we can suggest to use Rackspace, Amazon or Microsoft’s products. Rackspace is disproportionately costly in 2016. This Article Has Been Shared 7428 Times! Rackspace after United Kingdom and Australia arrived in Mexico. This is a winning strategy for a good company in a country where the cloud market is expanding. Here is Step by Step Commands to Use Free SSL by Let’s Encrypt. We will use aptitude software to install the certificate, it is very easy. We Divided Hosting Mail Server in to 3 Chapters. Here is List of Mail Server Software For Installation on Cloud Server/VPS as First Chapter. Cite this article as: Abhishek Ghosh, "List of Cloud Orchestration Tools For On-Premise," in The Customize Windows, December 1, 2016, April 23, 2019, https://thecustomizewindows.com/2016/12/list-of-cloud-orchestration-tools-for-on-premise/.